As a manager or business leader, it can be difficult to honestly understand engagement levels. Concerns about putting their best face forward can make employees appear to be happy and enthusiastic, even if their genuine opinions are a bit farther from the truth. And to make matters worse, if frustrated or discouraged employees feel like they can’t openly talk about their concerns, they will naturally turn to friends, family and even public outlets like social media, potentially creating a negative image of your organization. And of course, while all employees might work hard, employees who are genuinely invested and engaged naturally work harder, are more creative and are happier. But how do managers help employees feel safe and encourage them to offer real and regular feedback? By providing them with anonymous employee surveys. 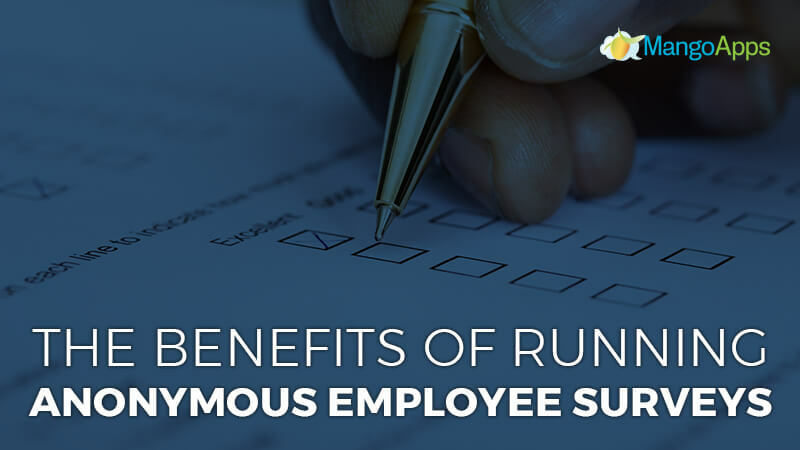 In our newest article, we’ve put together just a few of the reason why successful companies need to offer anonymous surveys to their employees. Anonymous employee surveys give employees a chance to report their real opinions without having to worry about negative repercussions. These survey also give a voice to employees who may be unable to express themselves or hesitant to go against the perceived majority. Often times, the most vocal group is not the real majority, but because others are afraid of speaking up, the needs and thoughts of the real majority go ignored or are neglected. Anonymous surveys help managers get a clear picture of how their teams work, think and feel, and can help them find patterns, fix problems and communicate more honestly, openly and effectively with everyone involved. Resulting in employees feeling understood, engaged and appreciated. Surveys are also a great tool to boost employee engagement. Surveys help employees feel appreciated and heard by their managers and their company, encouraging them to build deeper trust and create stronger ties within the organization. Surveys can indirectly promote engagement as well by helping managers correct concerns or resolve potential problems that frustrate or discourage employees. Surveys can also be reflective or memorable activities, asking employees to consider past learning experiences or recent personal achievements. Helping employees analyze and learn from their recent outcomes can encourage them to apply the lessons they’ve learned and continue to work hard in the future. Anonymous employee surveys create accountability for both managers and employees. Surveys give employees a safe place to share their concerns, ideas, thoughts, and opinions, and remove excuses that lead to building resentment. When employees have a place to share, they become accountable for their communication and are responsible for making their needs known. Similarly, surveys create accountability for employers by not allowing them the outlet of ignorance. When employers are aware of problems and opinions, they are responsible to respond and reciprocate to those issues however they consider appropriate. This duel accountability creates a culture of safety, honesty, respect, and transparency within an organization. Not all employee surveys have to be about potential problems. Anonymous employee surveys can be used to make more informed and unbiased positive decisions as well. For example, employees can vote for a new company design or comment on ideas for a team outing without worrying about alternative factors playing into their answers. Anonymous surveys in this way help both leaders and everyday employees work with confidence, overcome potential bias, and make more accurate and informed decisions. Surveys within collaboration platforms, like those provided by MangoApps, also come with powerful analysis capabilities, helping managers break down and assess answers and discover deeper insights and ideas. While this is a somewhat indirect result of the other benefits surveys provide, it is also ultimately one of the long-term goals of all anonymous employee surveys. Surveys help employees feel safe and understood and give them a platform to honestly voice their opinions. As a direct result, their engagement will improve and company culture as a whole will becomes stronger and more supportive. And as companies improve their engagement and corporate environment, employees will naturally want to stay. Improved retention also promotes higher referral rates and a stronger sense of brand loyalty from employees, helping organizations become more productive, profitable, creative and innovative throughout their industry. Anonymous employee surveys give coworkers a platform to fearlessly provide honest input about everything from proposed business policies to opinions about pineapple on pizza. Surveys provide straightforward and accurate information, promoting increased clarity, improved understanding, and genuine trust and transparency. At MangoApps, we’re dedicated to helping business foster long-term success through innovative communication and collaboration technology. 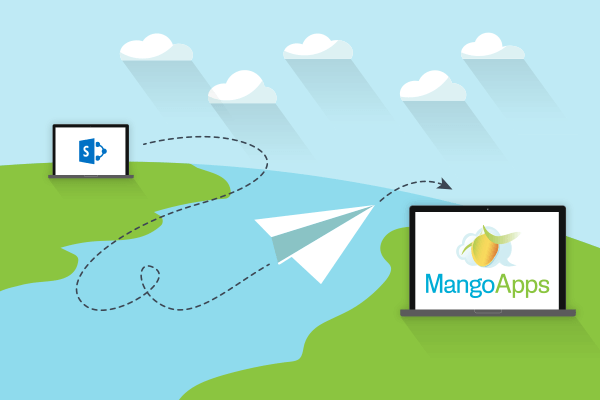 To learn more about MangoApps surveys or any of our other outstanding communication tools, contact us and schedule your own personalized product demo today.